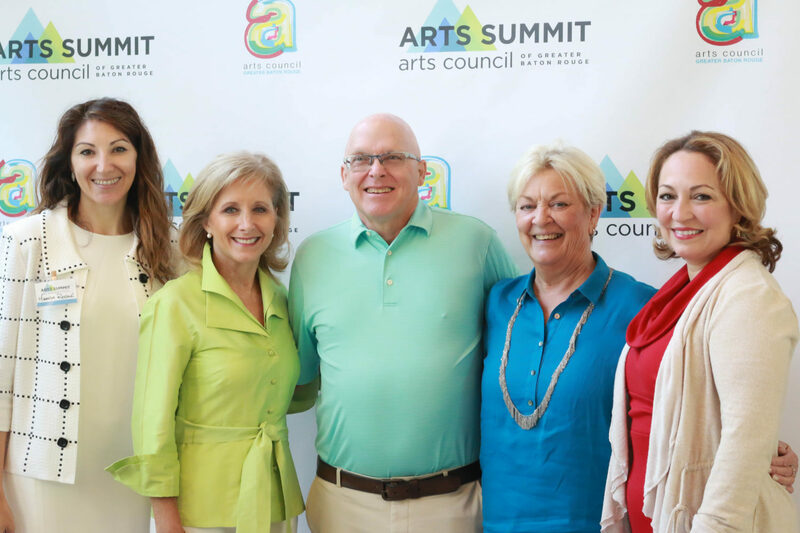 First Lady Donna Edwards, LEH, and Louisiana's regional arts councils partner to support arts education. LEH Executive Director Miranda Restovic, First Lady of Louisiana Donna Edwards, LEH Board Member Rod Olson and wife Mattie, and Arts Council of Greater Baton Rouge Executive Director Renee Chatelain. 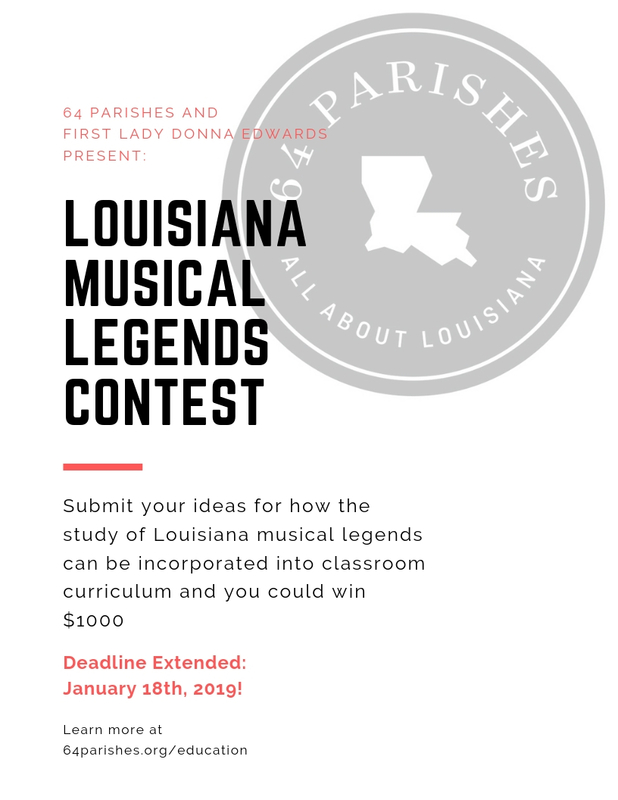 The deadline for the Louisiana Musical Legends contest has been extended to January 18th, 2019! 64 Parishes is proud to announce a new initiative aimed at showcasing the very best classroom tools for teaching Louisiana’s culture to students around the state. With “Aunt Dorothy’s Teacher Toolkit,” the Louisiana Endowment for the Humanities will partner with First Lady of Louisiana Donna Edwards and the nine regional arts councils to support educators in every corner of Louisiana. The project is made possible by gift from Dorothy Hanna. A music teacher in Vinton for more than thirty years, a member of the Lake Charles Messiah Chorus for forty, and a pianist for numerous church choirs, Hanna brought music into the lives of countless students, congregation members, and residents of Calcasieu Parish. Now her legacy is extended through a generous gift, made in First Lady Edwards’s honor, to the Louisiana Endowment for the Humanities. Together with her husband of over fifty years, the late Wallace Hanna, a teacher, football coach, and principal at Vinton High School and later a Calcasieu Parish School Board member, Mrs. Hanna continues to impact the state through numerous scholarships and endowed professorships at McNeese State University, where the Department of Performing Arts now bears their name. Mrs. Hanna is the aunt of Maddie Olson, wife of LEH board member Rod Olson. In September 2018, LEH launched a contest for teachers to offer their ideas on how the study of Louisiana musical legends can be incorporated into classroom curricula. 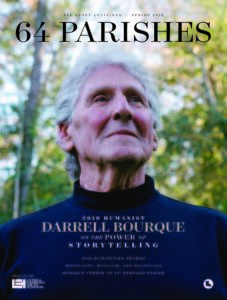 In addition to a $1,000 prize, the winning teacher from each region will be invited to help develop a short educational video and lesson plan to be hosted on the 64 Parishes site. To enter, download the application now.